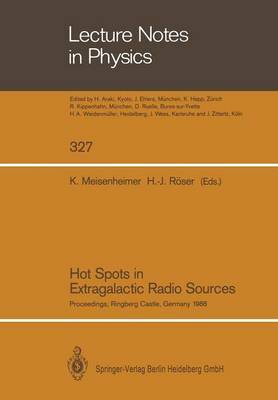 This collection of papers presents a rather complete review of current knowledge of hot spots in some strong extragalactic radio sources. An overview of known results along with new data on radio observations and optical observations is given in the first and second parts of the book. Recent computational techniques which allow modelling and simulations of hot spots and jet behaviour are presented in the third part. The fourth part discusses particle acceleration and shock front phenomena. The articles will help the reader to appreciate the role hot spots play as laboratories for studying the interaction of jets with the surrounding medium and for testing our understanding of the overall source dynamics. The book is a valuable complement to the existing literature and an excellent introduction to this fairly new field of research.